This plug in provides a diagram editor for modeling a process of model transformations in ATL. It describes the structure of a transformation flow. The plug in has also the ability to execute the transformations. You can see it as an planing and execution board. 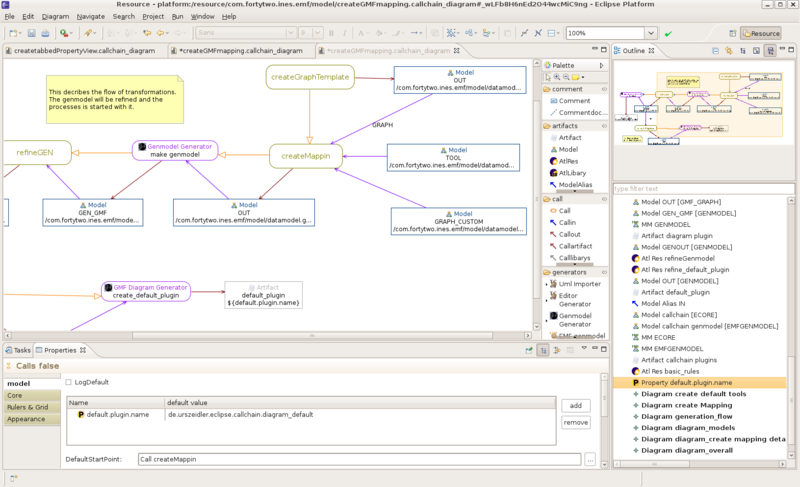 It's an GMF based diagram editor to produce models of transformation flows, the GMF editor is customized to support multi diagramming. You can define several diagrams in the diagram file. They are displayed in the outline view, where you also can manage them. Transform an old callchain to a new one. Create a model copy transformation. You can either start the flow on the model object or on the start menu. Each executable model object can be executed by it's contextmenu. You can also define a run configuration. 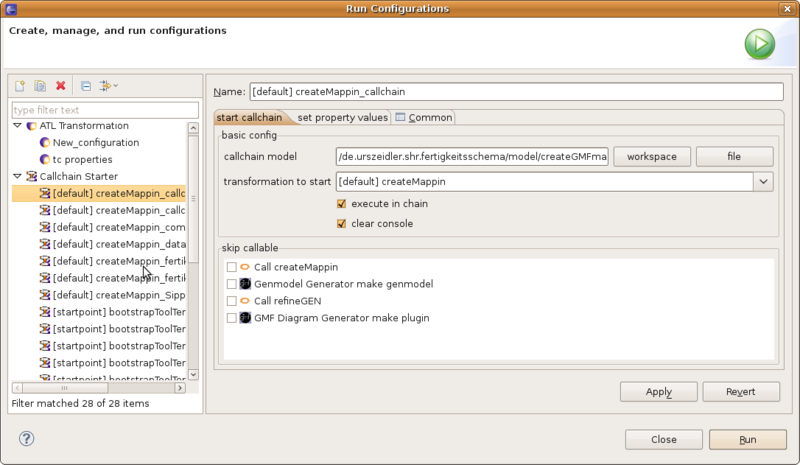 In the run configuration you can select your transformation model, and the start transfomation. You also define to start the transformations in chain mode. So after a transformation the transformation in the next feature will be started. You can now validate the transformation flow with the validate action.